The industries first suction-based wakeshaper just got an upgrade with even better, surf-all-day performance. The DELTA 2.0 creates the perfect competition-class wave for wakesurfing, now with RipFlowTM Technology that further improves performance on larger boats. Every aspect of DELTA was thoughtfully designed from the ground up with wakesurfing in mind and optimized to float. 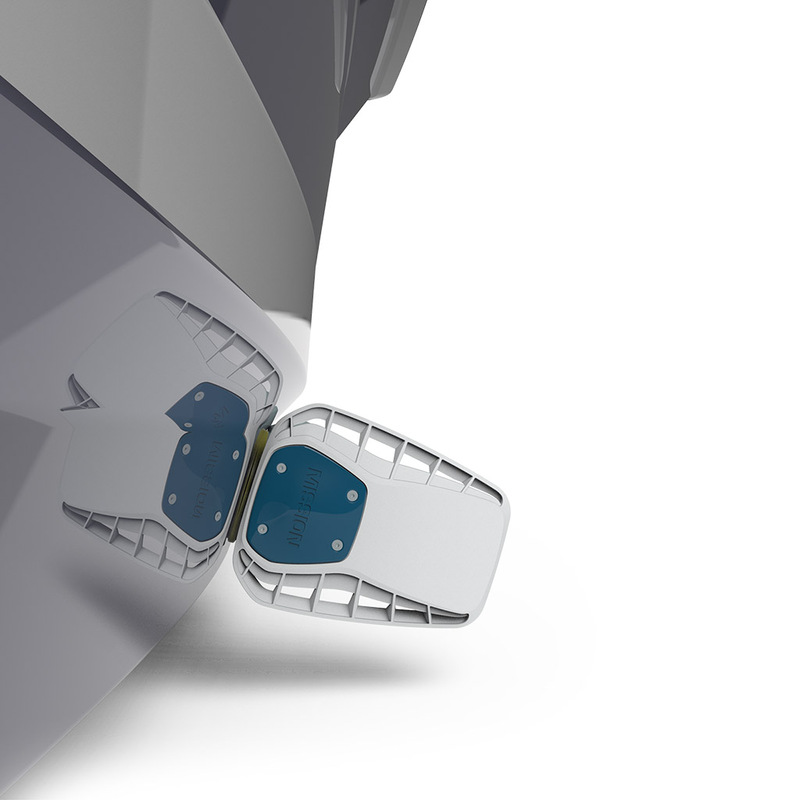 Our proprietary HyLoftTM Suction Cups provide maximum grip to accommodate the contoured surfaces of complex boat hulls, unlike off-the-shelf glass-lifting cups which were designed to stick to flat surfaces — no Velcro or mounting brackets to drill and mar your boat. Bigger isn’t better. Large wake shapers put a ton of load on your boat and tend to take a long time to clean up the wave. The DELTA 2.0 also delivers best-in-class fuel consumption which will keep cash in your pocket and give you more time on the water — all without compromising wave-performance. MAKE WAVESDELTA makes it easy to generate a perfect wave for wakesurfing. DELTA creates the perfect wave for wakesurfing with the boat you already own. 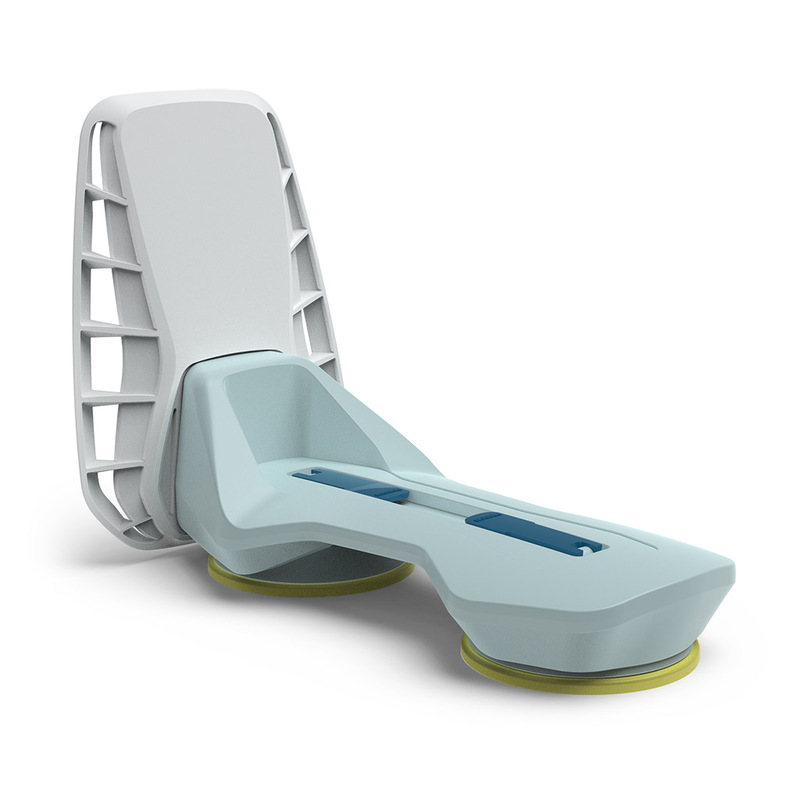 MISSION changed the game in 2016 by pioneering the use of a removable surf solution that attaches cleanly with suction. 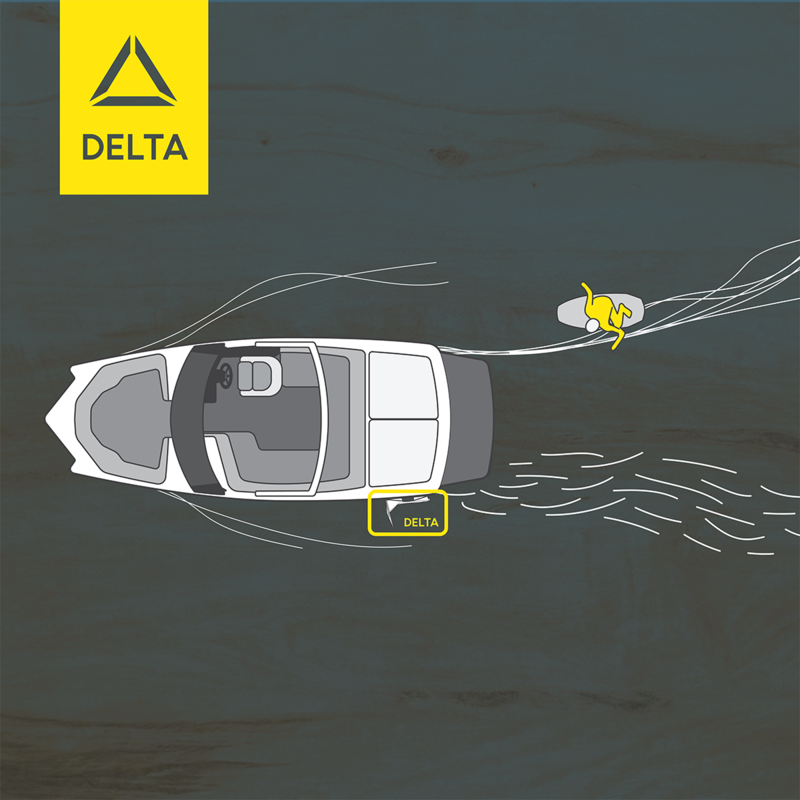 DELTA is optimally designed to create a world-class wave in the smallest possible package. Reinforced high grade polymer, anodized aluminum and stainless steel. Symmetrical design allows DELTA to work on both sides of the boat. Front panel reverses so you can fine-tune the wave on your boat. Accidents happen so DELTA has you covered. Attaches in seconds and removes without a trace. Oversized suction cups provide plenty of holding power for hours of surfing. DELTA installs on the opposite side of the boat from the surfer. DELTA will deliver a great wave on almost any boat with the right ballast setup and DELTA attached in the right location. We’ve tested many boats and have been able to find a place that works on almost all. Exceptions to this include: dual engine jet boats (too much jet wash), 06-07 Mastercraft X2’s (large decals), and a 99 Malibu Response LX (steps are too small). Look for a 5x13” smooth location about 2-4” below the waterline when fully ballasted and at surf speeds. The location must be free of decals. Note, if DELTA needs to be placed lower than that, you can lean the boat slightly towards the surf side to lift DELTA up closer to the surface of the water. Also position DELTA as far back as possible. If you have very little ballast we recommend unscrewing and reversing the orientation of the front panel so that it is positioned even further back. This allows the panel to be fully submerged when in motion which improves effectiveness and reduces splashing. Weight the boat evenly left to right with 60% in the back and 40% in the front. More ballast in the back increases the height and more in the front increases the length. If you have a mid-engine inboard, you will want to use more weight in the back to compensate for the center engine weight. Also, longer boats require more ballast to offset the additional buoyancy of the hull. With a decently weighted v-drive, start at 10mph and work your way up. Slower speeds generate more height and faster speeds generate more length (at the expense of height). You should settle in around 11.2mph but that all depends on the length, hull shape, ballast, passenger weight, and your preference. DELTA comes with everything you need to get surfing. The package includes: DELTA, a storage bag, a leash, two suction cup protective covers, an instruction sheet, and two can coolers. DELTA is about the size of a loaf of bread. Yum. Don’t let the size deceive you, DELTA delivers a world class wave in the most efficient way possible. This puts less load on the engine and the boats hull. It says it fits on most boats. What does that mean? DELTA will deliver a great wave on any boat. DELTA requires a location that is about 5 inches wide, 13 inches long and relatively flat. We haven’t tried every Inboard boat but we’ve been able to find a place to put Delta to work on every boat we tested. Is steering affected by DELTA? In general there is very little change to the boat’s handling with the DELTA in place. However, we strongly suggest you test it yourself before you attempt to wakesurf or pick up riders from the water. If you store your boat in the water you may need to periodically clean the area where DELTA will attach. A 3M blue scratch-free scrubber works really well to remove the waterline algae that sometimes accumulates by the end of summer. How do MISSION wakesurf systems work? They create an asymmetrical wake pattern that eliminates the turbulent water naturally caused by the symmetrical design of your boats hull. This asymmetry allows the wake on the opposite side of the boat to clean up for surfing. What sets MISSION products apart from the competition? Fully assembled and ready to go. No modifications or adjustments required. Designed for simplicity. We want you out surfing so we made these super easy to attach and detach. No Velcro, ratchet straps, or drilling required. Top notch materials and construction selected and tested for the harsh conditions of the boating environment. DELTA floats. No need to worry about losing them in the lake. Suction cups designed specifically to stick to your boats curved hull. Do I still need ballast? Yes. More ballast still equals a bigger wake. Ballast weight pushes the hull down into the water and creates more displacement which in-turn generates more height and power for a better surfing wave. SURFSIDE Panels enhance the shape which reduces drag on the surfboard caused by turbulent water. They work together to create an optimum surfing wave. Do I need to list the boat over to one side? No. The boat can be evenly weighted left to right so it’s super easy to shift riders from one side to the other. This also makes it much easier to drive and reduces the risk of swamping the boat. How should I weight the boat with ballast and passengers? Weight the boat evenly left to right with 60% in the back and 40% in the front. More ballast in the back increases the height and more in the front increases the length. You definitely want to get that transom to dig-in which generates more power in the wave. If you have a mid-engined inboard you will want to use more weight in the back to compensate for the center engine weight. Also, longer boats require more ballast to offset the additional buoyancy of the hull. What speed should we surf at? With a decently weighted v-drive, start at 10mph and work your way up. Slower speeds generate more height and faster speeds generate more length (at the expense of height). You should settle in around 11.2mph but that all depends on the length, hull shape, ballast, passenger weight, and your preference. Do not exceed 13mph to keep pressure on the platform low. Should I use the wedge? Generally we don't recommend using the wedge since it seems to create more turbulence that disrupts the shape of the wave. Some of our users with power wedges have noted that they have good results with it halfway down. Give it a shot and see what you prefer.